The Spurs boss feels chairman Daniel Levy deserves credit for pushing the project forward. Spurs' new home, Tottenham Hotspur Stadium. 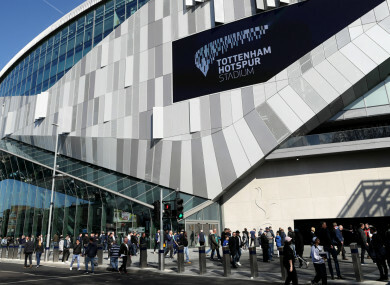 However, Tottenham Hotspur Stadium finally played host to its first test event on Sunday, an U18 fixture between Spurs and Southampton. But I think with all our fans, 62,000 people behind us it’s going to be fantastic to play and we can make possible our dream to play in the semi-finals. Tottenham’s first Premier League game in their new home will be against Crystal Palace on 3 April. Email “Pochettino 'nearly crying' at Tottenham stadium opening”. Feedback on “Pochettino 'nearly crying' at Tottenham stadium opening”.